There was quite a wait, but well worth it. Dr. Hanna listened to what I had to say and he wasvery knowledgeable on how to treat my medical issue. I left the appointment feeling optimistic about the plan he put together. There was quite a wait, but well worth it. Dr. Hanna listened to what I had to say and he was very knowledgeable on how to treat my medical issue. Ileft the appointment feeling optimistic about the plan he put together. Think he was very kind and took an interest in explaining everything to me. Answered all our questions. ***If you are trying to book an appointment for IV Ketamine Infusions, please do not use Zocdoc, please call the office for an appointment. *** ***For IV Ketamine Infusions we accept CASH, SELF PAY, AND INSURANCE COVERAGE. For ALL OTHER Pain Management treatments we do not accept CASH or SELF PAY Payment. *** Dr. Ashraf Hanna has completed a Pain Management Fellowship at the prestigious Cleveland Clinic in Ohio and served as President for the Florida Academy of Pain Medicine. Dr. Hanna is Board Certified in both Anesthesiology & Pain Management. He completed his Anesthesiology residency at Illinois Masonic Medical Center in Chicago, where he spent six months of advanced clinical training in pain management. He is also a clinical Affiliate Faculty Receptor with Nova Southeastern University. 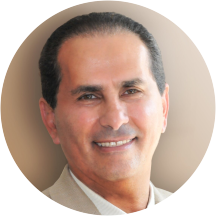 Dr. Hanna is a member of several professional organizations such as American Society of Anesthesiology, Florida Academy of Pain Management, American Society of Interventional Pain Management, ACAM (American College of Advancement in Medicine), ASRA (American Society of Regional Anesthesia and Pain Medicine) and Member of Leading Physicians of The World. Dr. Hanna has co-authored several publications & was awarded first prize for a research presentation at the Cleveland Society of Anesthesiology. With over 18 years of experience, Dr. Hanna offers state of the art pain treatment for all painful conditions and has performed over: * 25,000 epidural steroid injections, facet injections & spinal nerve blocks. * 5,000 radiofrequency ablations. * 250 spinal cord stimulators. Dr. Hanna is the leader in the more advanced spinal cord stimulator implants and radiofrequency ablation procedures for intractable low back pain. As the director of one of the cutting edge clinics in Florida. It was fast and to the point, no waste of time. Dr Hanna is very knowledgeable and actually listens to his patients. I just moved here from CA and went to Dr Hanna as a first time patient here in FL regarding my CRPS. I thought everyone I spoke to was very helpful and very nice. Dr Hanna offered me lots of optionsregarding my pain management and my husband and I were really impressed with Dr Hanna. It was worth the long waiting time as when I was seen, Dr. Hanna got right to my problem and it is great not having to wait for anything to get done and start working on.